Put down the sugar. When it comes to fighting cold and flu, it is essential to decrease your amount of sugar intake. Sugar has devastating effects on the immune system, and the fact that Americans consume an average of 2-3 pounds of sugar per person every year spells bad news come cold and flu season. Not only does sugar increase the production of hormones that suppress the immune system, refined sugar needs micronutrients to be metabolized. This requires your body to use stored vitamins and minerals, further harming your defenses. Instead of eating high sugar foods try eating a wide variety of fruits and vegetables. This will make sure that your body is getting all of the vitamins and minerals that are essential to fighting of the cold and flu. Each and every fruit and vegetable is packed with thousands of phyto-chemicals. No supplement could ever match the power of eating a whole food. 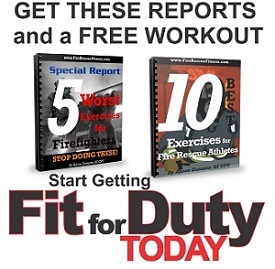 Time to get “Fit for Duty,” I hope you stay healthy this winter!